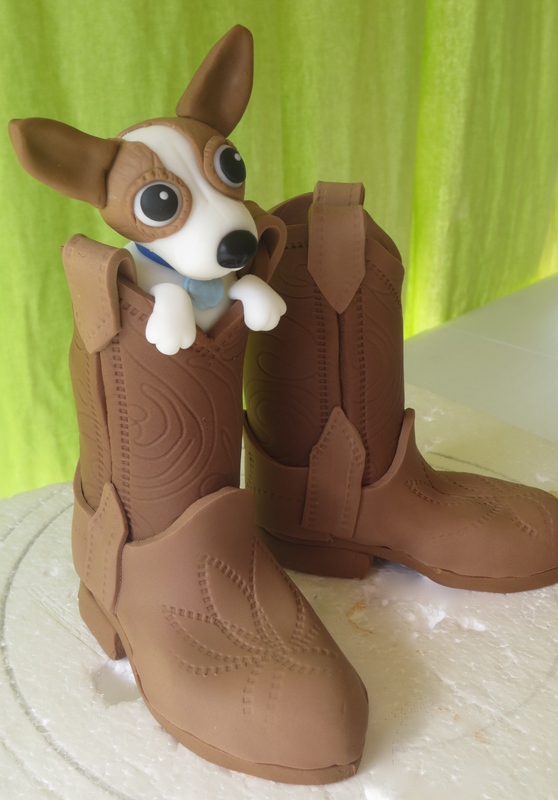 This week I made a pair of fondant cowboy boots with a little chihuahua inside for a coworker’s birthday. She loves to country dance and always wears her boots to work. She also just got a cute little dog named Wylie. I decided to incorporate both of her loves together by putting Wylie in the right boot. 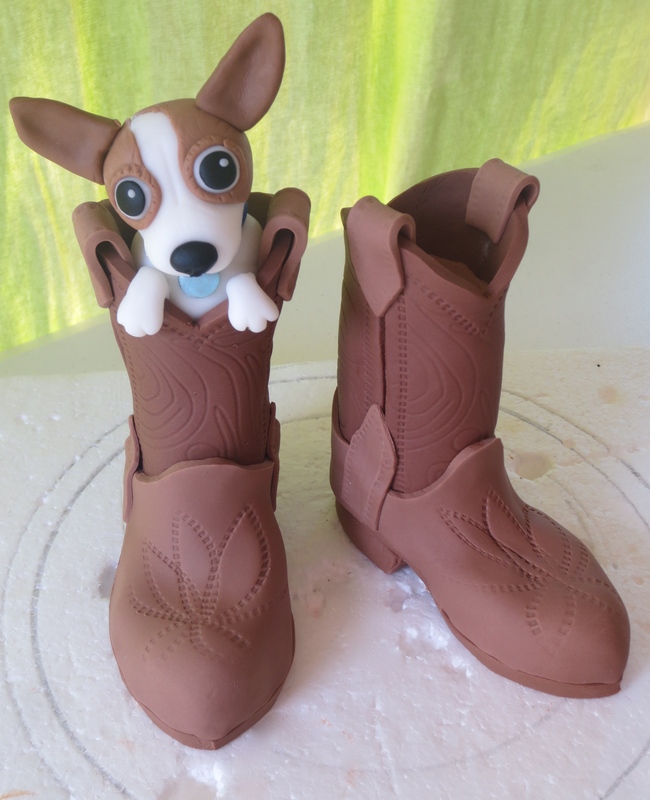 This was my first pair of fondant boots and it did take me a little while to figure out how to put them together. 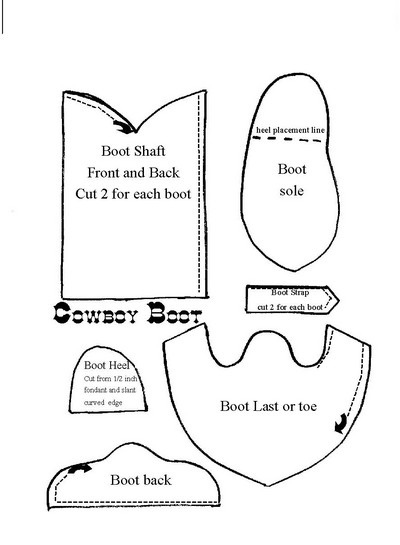 I found the template below on google and started assembling the boot with no directions. The boots wouldn’t stand freely so I rolled a tube shape of rice krispies treats and fitted the fondant around the tube. The dog was pretty easy to make because it was only the top half of the dog. I cut out bigger circles of fondant for the eyes and lined them with a small piece brown fondant to make them look like they were bulging…like chihuahua eyes. Hope you like the boots and doggie! !